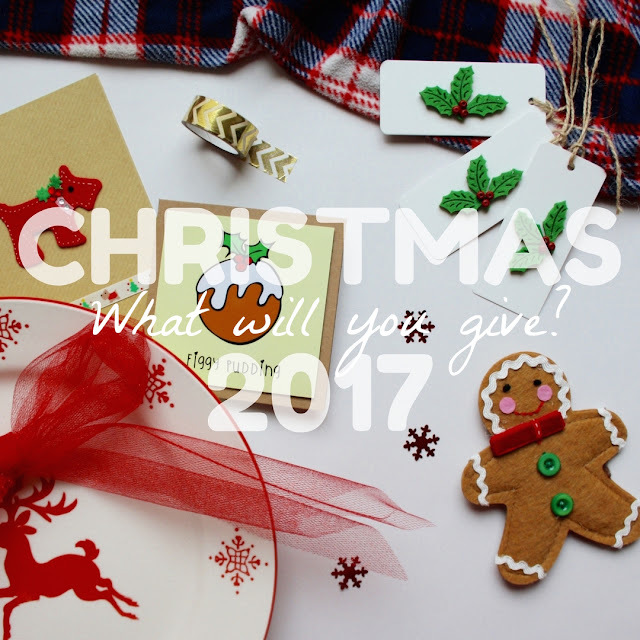 What will you give this Christmas? When I ask this, I’m not thinking about standard things like that box of smellies for your Mum or new slippers for your Dad. I’m talking about giving that little bit extra and making a difference in someone’s life. Because, after all, that’s what the Christmas spirit is all about. It really doesn’t take a lot of time, money, or effort on your part either. A small gesture from you could be exactly what’s needed to transform someone else’s Christmas from just another day in a miserable year to a truly magical occasion. To help inspire you to be that positive force in someone else’s life, I’ve come up with a list of what you can do to spread a little festive cheer. The lovely Hayley has already published a charity gift guide, which you can also turn to if you need extra help! It’s easy to throw a pack of generic Christmas cards into your basket as you stroll through Tesco without a second thought. Well, this year, why not make a small seller’s day and purchase your Christmas cards, gift tags, and more from their business! 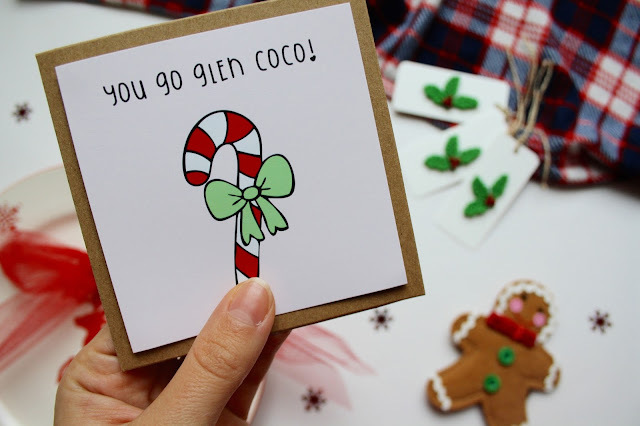 By buying from a small seller, you’ll not only be guaranteeing that the cards you’re sending are unique, but you’ll also be making a real difference to someone’s livelihood. You’ll be helping to put Christmas dinner on a small seller’s table, and gifts beneath their trees. If that’s not something to get on board with, I don’t know what is! This Christmas, I’ll be using up a few older cards that I’ve had lurking in my drawer for a while, but after that, I’ll be exclusively sending out cards from small businesses. I’ve already made purchases from Pastel Elixir, run by my wonderful friend Ellis, and from Adventures of Hope, which has my lovely friend Kat at the helm. 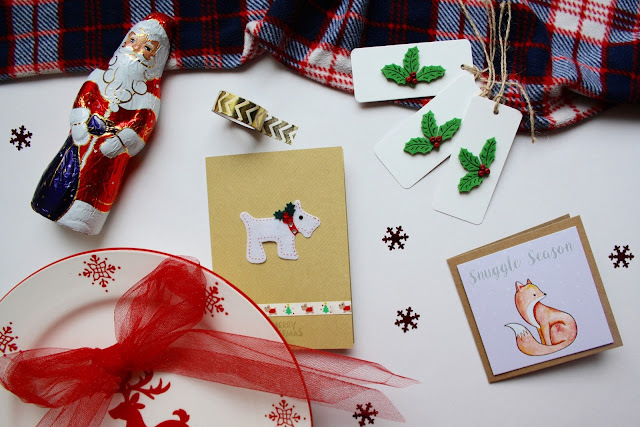 You can see a few of their cards and gift tags in today's post photos and I think you'll agree that they're lovely. What do you buy for the person who has everything? If another pair of socks or a Lynx gift set just won’t cut it for that difficult person in your life, you can buy them a present that really does some good! A gift that keeps on giving can come in the form of sponsoring an endangered animal from WWF, a dog from Dogs Trust, a horse from Redwings, or a donkey from the Donkey Sanctuary. The recipient of your gift will receive numerous updates throughout the year about their adopted animal, and there’s no doubt that this will put a smile on their face! This year I’ve asked for a Dogs Trust adoption pack as a Christmas gift and I couldn’t be more excited about it! Why not follow my lead? More and more people in the UK are reliant on food banks this Christmas and the thought of this is just heartbreaking. Therefore, instead of shelling out £50 on an advent calendar filled with confetti and cookie cutters (soz, Zoella), you could do something a lot more positive and purchase 24 items that your local food bank desperately needs, one for each day in the advent, and then donate them. I will be doing this myself this year! I’ve got a cardboard box in my room ready for the donations, and each time I hit the supermarket, I’ll purchase a few new things. I’ll be sharing what I’m donating each day in a Twitter thread, which you should definitely look out for if you need some inspiration for what to donate! Something that my family used to do each and every year at Christmas time was to send a Christmas shoebox, filled with toiletries, small items of clothing, sweets, and gifts to a charity who shipped them over to developing countries as Christmas presents for children who otherwise wouldn’t get any. I used to love doing this and would still do it today, had I not discovered that these gift boxes were used as part of evangelical religious practices, meaning that religious literature was disseminated with the shoeboxes and children who were not of the Christian faith were not permitted to be given a box. Personally, I think that the Christmas spirit should be extended to everyone who would like to participate, regardless of their faith, so to think of a charity deliberately excluding children on religious grounds is something that I cannot support. Instead, I would much prefer to purchase parcels for charities that do not operate on the basis of religion, such as the Refuge women’s charity parcels, which can provide everything from a Christmas meal to legal aid. Oxfam also offer a donation scheme, where the money goes towards providing clean water and education for young people living in poverty. I hope that this post has inspired you to give that little bit extra this Christmas! Because we could all use the good karma, right? Do you have any traditions for helping others at this time of year? Do share your good deeds in the comments below!